The threat of more strikes at Ryanair has lifted as Irish-based pilots overwhelmingly backed a deal to end a bitter row. The budget airline's board is now expected to withdraw a threat to cut 300 pilot and cabin crew jobs this winter when it meets shortly. In a statement, Ryanair said it would ask the board to reconsider its decision to move six aircraft to Poland. Mediator Kieran Mulvey, who chaired talks on the deal, said he expected the board to withdraw letters of protective notice that were issued to staff. The pilots mounted pickets during five strikes since July, culminating in a stoppage with colleagues in four other countries on the same day last month. The pilots had demanded a better system to allocate holidays and decide who was selected for base transfers and promotions. They wanted this to be based on seniority, or length of time in their job. Most of their demands on seniority were achieved, but there were compromises on flexibility of base transfers. The Irish Air Line Pilots' Association (Ialpa) said 100pc of the pilots who voted were in favour of the agreement. A total of 250 directly employed and contracted pilots were balloted on the deal that was brokered after talks at Dublin Airport. An Ialpa spokesperson said the result showed pilots saw the deal as the "first step" towards fairness. He said it would help the airline recruit and retain pilots. 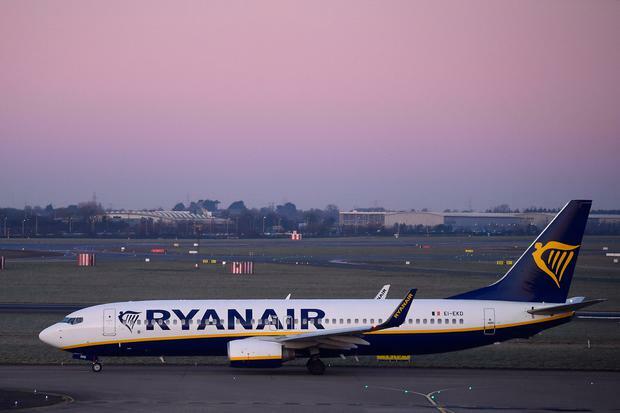 Spokesman Captain Joe May said its members fully respected Ryanair's operational model, but no longer accepted its "highly problematic" employment model. He said pilots in Ryanair had found a unified voice, after decades of "declining terms and conditions". Mediator Mr Mulvey said: "In the light of this decision, I now anticipate and expect that the board of Ryanair will lift and withdraw the letters of protective notices issued to employees." "I wish to welcome the decision by Fórsa/Ialpa to accept the terms of the mediated agreement with Ryanair. "I believe this marks a significant landmark in the context of the recent positive engagement between the parties which led to this agreement on key aspects of the working conditions and terms of employment of pilot grades in the Republic." He said the agreement allowed him to have a continued oversight role, and he hoped the parties use this. Ryanair welcomed the ballot result. "We will now bring this agreement to our board and will ask them to reconsider their decision to rebase six aircraft away from Dublin this winter," it said in a statement.